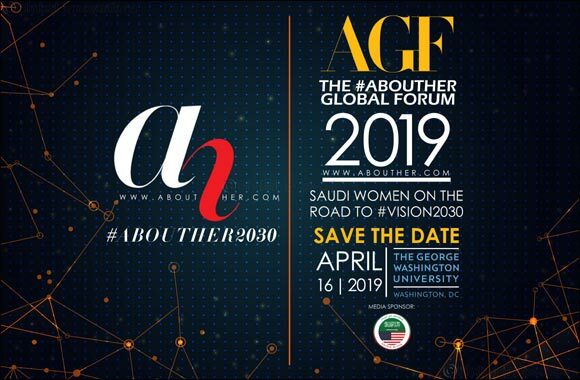 The AboutHer Global Forum (AGF), a platform dedicated to honoring and celebrating trailblazing Saudi women at the forefront of the country’s advancement and progress. The first edition of AGF will be held on April 16, 2019, at the George Washington University (Washington D.C., USA). Following Crown Prince Mohammed Bin Salman’s ascension to his role in 2017, Saudi Arabia has been focusing on realizing Vision 2030, an ambitious plan that is set to modernize Saudi society and strengthen its economy, a key part of which involves reforms targeted towards improving the lives of women in the country. Indeed, Saudi Arabia has been pushing for more women to take up top leadership positions, it has reformed different facets of its legal structure to give women more rights, it is transforming its public sphere to be more accommodating to women, and it has created more opportunities across various sectors for women to work in.